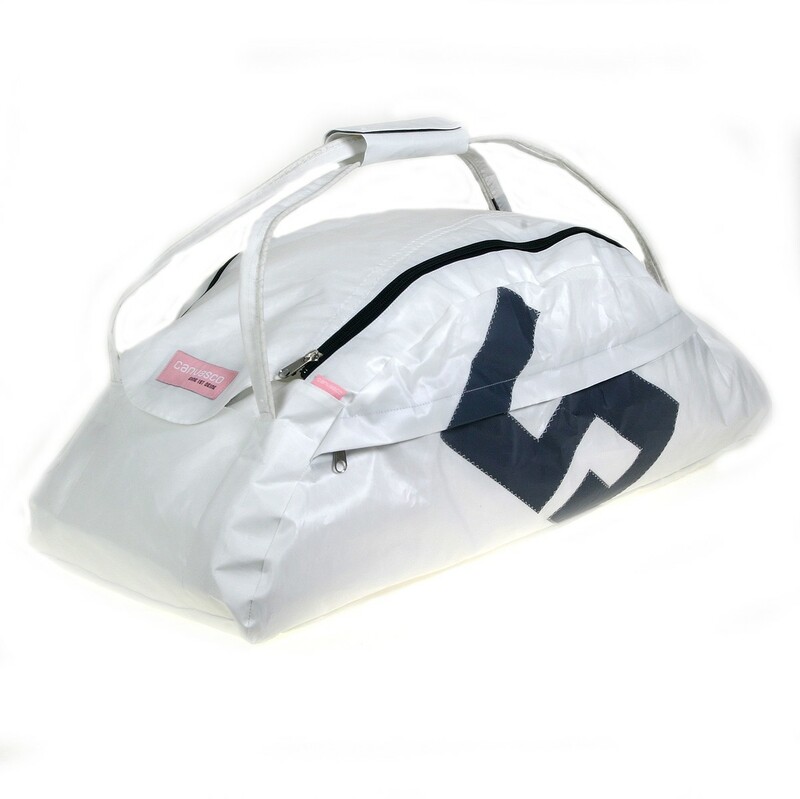 Urban travel S - white canvas bag with black number (variable). Made in Germany. Designed to be on the move. Made of well-proven, featherweight canvas - the urban travel bag is the unique companion for weekend, city trips and vacations. It can also carried as a backpack. Double zipper and Velcro fastener. One inside and two outside pockets. Water repellent. H 12 x L 23.6 x W 8"